Whether deep in the backcountry or on open water, proper navigation is a must. And for route finding, recording tracks or finding a geocache, there’s no more durable and long-lasting navigator than a handheld GPS. 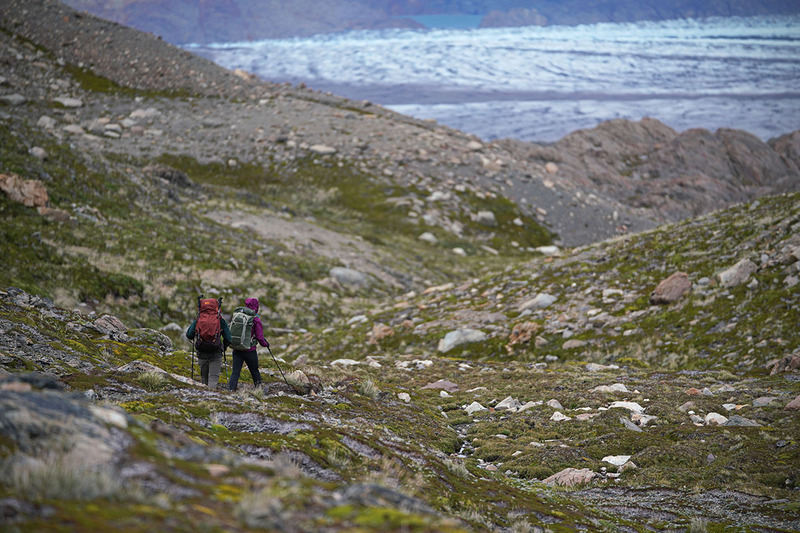 While it will never fully replace a map and compass, outdoor GPS devices allow you to plan, follow and share recent adventures. As you’ll see from our top picks, the market is dominated by one brand: GPS giant Garmin. Currently, there is no one that comes close to their mapping software and feature sets across their lineup. Prices can vary widely, and important considerations include whether you prefer a touchscreen or buttons, which we dive into in our comparison table and buying advice. Below, you’ll find our favorite handheld GPS devices of 2018. What we like: Proven, reliable, and very accurate. What we don’t: Not everyone loves the buttons; antenna adds bulk. While most new Garmin handhelds are ditching their buttons, there are some holdouts, including the excellent GPSMAP 64s. What sets the GPSMAP series apart from the rest is its combination of price, accuracy, and firmware that is mostly free of bugs. For a device people rely on for essential navigation—we still always recommend bringing a backup map and compass—there is something to be said about sticking with the tried and true, and the 64s builds on lessons learned from the popular 60 and 62 series. This is not to say the GPSMAP isn’t packed with features, they just work more consistently. The “s” in the name means the device can pair with your phone to receive notifications, but more importantly for us, the midrange model also includes an electronic compass and barometric altimeter. An external antenna and compatibility with GLONASS and GPS satellites ensure a reliable fix and class-leading accuracy at the cost of bulk and total weight, which make the more compact Oregon series below the preferred option for a trip where weight and packed size are important. If those are not leading factors, there’s no better overall GPS on the market than the GPSMAP 64s. What we like: Feature rich with a high quality touchscreen. What we don’t: Not a huge leap from the previous model. One of the common sacrifices in swapping your smartphone for a handheld GPS is user experience. While no GPS has put it all together, the Garmin Oregon 700 is getting pretty darn close. First, it’s properly sized for the job, with a large and bright screen that’s easy to see but still small and light enough to stuff in a pack. 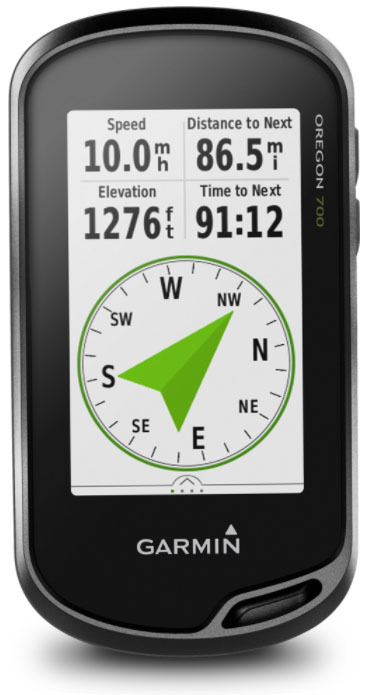 The 700 model, which replaced the popular Oregon 600, is a breeze to use with simple menus and dedicated profiles for various sports (hiking, cycling, paddling, and more). In weighing our top two picks, the decision largely comes down to preference between buttons or a touchscreen. The Oregon 700 is newer and sleeker with its integrated antenna and superior menu system, but the buttons on the Garmin 64s are more reliable, particularly in extreme weather, and it’s $100 cheaper. If you’re sold on a touchscreen, the Oregon 700 is the best overall option on this list. And you can spend another $50 for the Oregon 750, which has a rechargeable battery pack and built-in 8-megapixel camera. However, the image quality of the camera is relatively poor, with its main redeeming quality being that it geotags where the photo was taken. What we like: Great feature set at a budget price. What we don’t: No 3-axis compass or barometric altimeter. 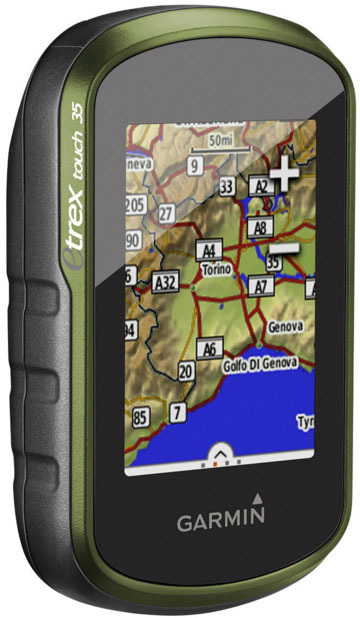 Expensive GPS devices offer an overwhelming and, for some, unnecessary number of features, which is why for a large number of people, the simple but excellent eTrex 20x is a great buy. Not by coincidence, it’s also the best value on the list, even beating out the cheaper eTrex 10, which doesn’t allow you to download maps onto the device. True, it has a smaller screen than the expensive models, lacks a barometric altimeter, and does not have any touchscreen capabilities (see the eTrex Touch below for that), but for $200 you get 3.7 GB of internal memory, 25 hours of battery life and a tough, water-resistant construction. Further, it’s quite accurate—the included receiver stacks up well with its expensive siblings. Part of the reason is compatibility with the Wide Angle Augmentation System (WAAS). In short, the receiver leverages a proven network of satellites and ground stations to even out inconsistencies that come from relying on satellites overhead. This makes for a device that is equally adept at geocaching and route finding, which should please both the casual and serious adventurer. What we like: True union of a handheld GPS, satellite messenger, and SOS device. What we don’t: Falls short of Garmin’s other units for navigation. The first product release after Garmin’s purchase of DeLorme is an updated version of the popular inReach emergency device. The original inReach Explorer blended rudimentary navigation with DeLorme’s well-known SOS and satellite messenger capabilities. 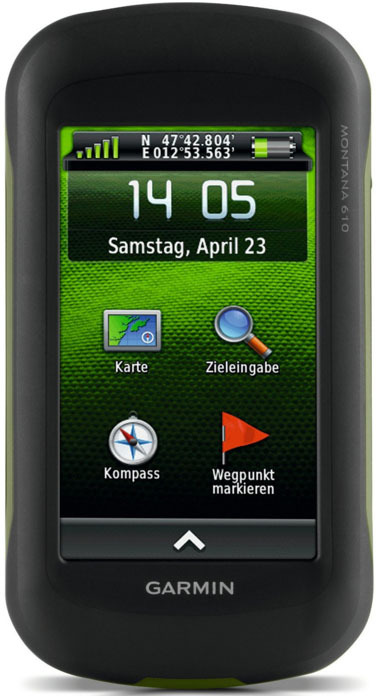 Now, the device can be considered a true handheld GPS: the screen has grown from 1.8 to 2.4 inches (larger than the eTrex above) and the Explorer+ model comes with preloaded 24K maps. For those looking for the security of an SOS service, off the grid 2-way messaging, and GPS navigation, the Explorer+ is the one to get. While the built-in 24K maps represent a significant step, the inReach Explorer’s mapping and user interface still is a DeLorme product and falls short of a modern Garmin handheld. Moreover, the inReach has limited internal memory, doesn't include a slot for microSD cards, and its platform can’t accommodate some map types (including Garmin’s maps). If you’re looking to combine GPS and SOS capabilities into one unit, there's a lot to like here, and we’re hopeful that Garmin will give the inReach a needed boost in usability. What we like: Large color screen is easy to read. What we don’t: Inferior touchscreen and bulky. A big hit with hunters and moto adventurers, the Montana received a modest update a few years ago, which earned it a name change from the 600 series to 610. Its defining features still remain: a large 4-inch screen, tough build with a raised bezel, and advanced navigation capabilities. What’s new is a bump in internal memory, a 1-year subscription to Garmin’s Birdeye imagery, and, most importantly, GLONASS satellite support. The additional 24 satellites should improve acquisition time and overall accuracy. It’s common for folks to weigh the Montana against the Oregon. For us, the convincing reason for most folks to choose the Montana is screen size, and this is what makes it so popular for backcountry-motorized activities, or when space isn’t at a premium. As an overall piece, however, the Montana’s extra cost and bulk, as well as its less advanced touchscreen, push it down our list of favorite handhelds. What we like: Quality touchscreen and features at a decent price. What we don’t: A few kinks still being worked out. Building off of the extremely popular eTrex line is the eTrex 35 Touch. As the name indicates, the device is essentially an eTrex with a touchscreen—and a nice quality touchscreen at that. It’s also been slightly stretched to accommodate a bump in screen size (from 2.2 in. to 2.6 in.). 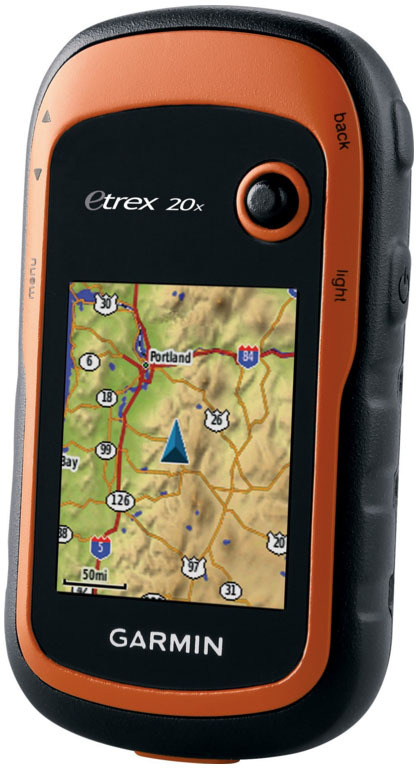 The $300 eTrex Touch 35 is based on the top eTrex 30 model ($249), and includes its upgraded suite: barometric altimeter, electronic compass, and wireless sharing between Garmin units. Unfortunately, as with most newer Garmin units, there have been reports of growing pains with the firmware, with common complaints including dropped waypoints and frozen screens. Most of the time, Garmin sorts this out, and if they get its reliability in line with the top-selling eTrex 20x, the Touch 35 could very well overtake it on our list. What we like: Great battery life and hands-free convenience. What we don’t: Can’t download maps onto the device. After a long and successful run, Garmin has replaced its wrist-mounted Foretrex 401 with the 601. This unique design takes the basic style of a handheld unit but in a shrunken down and lighter form that can be used hands-free with the included nylon strap. Likely due to the 401’s popularity, Garmin stuck to simply improving the new 601 rather than making wholesale changes. Notable updates include a very impressive 48-hour battery life in navigation mode, compatibility with 3 satellite systems for fast acquisition and accurate recording, and an upgraded screen. And the Foretrex is as tough as ever with its military-grade construction. Where does the Foretrex 601 fall short? The biggest compromise compared with the options above is that you aren’t able to add TOPO maps. Instead, you have to use the old-fashioned breadcrumb trail and 3-axis compass for navigation. Further, the 2-inch screen is small compared to a standard handheld unit, but on the plus side, it’s easy to read even in direct sunlight. All told, the Foretrex isn’t for everyone, but its simple design, durable build, and fantastic battery life has its appeals for backcountry explorers. What we like: Merging Android OS with handheld GPS. What we don’t: Software still not perfected, expensive. At the peak of Garmin’s handheld GPS lineup is the Monterra. What differentiates the device from everything else on the market, beyond a stratospheric price, is that it runs on the Google Android OS, which brings the ability to connect to Wi-Fi, download outdoor-specific apps and customize the display. It even looks like an Android smartphone from the front, sharing the same three virtual buttons just below the screen and a suitably bright display. Unique to the Monterra is 1080p video that automatically geotags your location, along with the 8MP camera that is also available on the Oregon and Montana. Downsides of the Monterra? For one, the user experience still falls short, and even after numerous firmware updates, it’s not totally free of bugs. Perhaps the biggest issue for most is price and whether or not all of this complexity is worthwhile. Those that will appreciate the apps and all-in-one functionality—and don’t mind the large dimensions—will surely be impressed with the Monterra. What we like: Great affordable option for geocaching. What we don’t: Old design, dated technology. 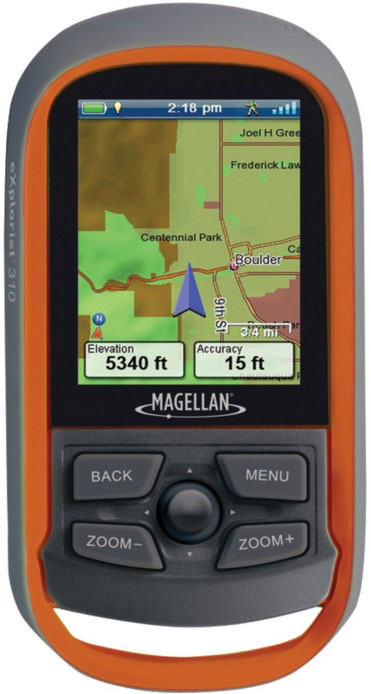 Proving that the GPS game isn’t Garmin-only, the Magellan eXplorist 310 is a solid entry-level GPS. The eXplorist does everything a basic GPS should: create and follow routes, mark waypoints and show your trip progress with tracks. Geocache-ready, the eXplorist comes with a decent base map that includes roads and some geographic features. A summary page details your exploits, with key bits like how long it took you to uncover each cache. Also, as opposed to its closest competitor, the Garmin eTrex 10, the eXplorist’s 2.2-inch screen is color and reads reasonably well even in direct light. The eXplorist line is getting long in the tooth, which means the satellite lock can take a while, their software is not as well established as Garmin, and navigating between menus can be a little clunky, but for simple uses like geocaching or route finding on a local trail, it’s a fine budget option. What we like: On the wrist navigation. What we don’t: Difficult to use and not a very polished piece. It’s true, the Garmin Epix is not an actual handheld GPS. Worn as a watch, the device has the smallest screen and one of the largest price tags on this list (although it is often on sale). But what it signifies is a leap in technology, packing many handheld navigation features and functionality into something that can be worn day-to-day. Its pros are the easy to access map that’s right on your wrist, with no need to grab a separate device, and the touchscreen display is colorful and pretty easy to read. Unfortunately, there are plenty of cons. The display is too small (1.4-inches, despite its 2-inch frame), but most importantly, it’s a mess to navigate. The all-important user interface (you’ll find people all over complaining about the UI) is full of unusable features and is illogical in its design. The Epix is undoubtedly “cool” and a sign of things to come, but this one is strictly for early adopters that can forgive its growing pains. As with smartphones, touchscreens are becomes the preferred style of handheld GPS. These devices are intuitive, easy to navigate or type with, and work in both landscape and portrait orientations. But a few of the reasons some of the best-rated models are laden with buttons are that the touchscreen tech and the built-in software isn’t as advanced as our expensive phones, nor are they as consistent in rough and cold weather. Further, using a touchscreen can be a pain with gloves—despite technologies that make some gloves work decently well. But for all those complaints, there is an equally good argument a touchscreen is the better choice over buttons. Buttons add bulk, and if you need to type, they are cumbersome and slow to navigate an on-screen keyboard. Your preferred style will vary, but if you’re wearing gloves most of the time, need to quickly navigate between screens while on the move or operate the GPS in frigid temperatures, buttons are best. As touchscreen technology continues to improve, including the current option to adjust the sensitivity setting of the screen, its benefit of a sleek and low profile design where more space can be dedicated to a screen will continue to win over more and more users. 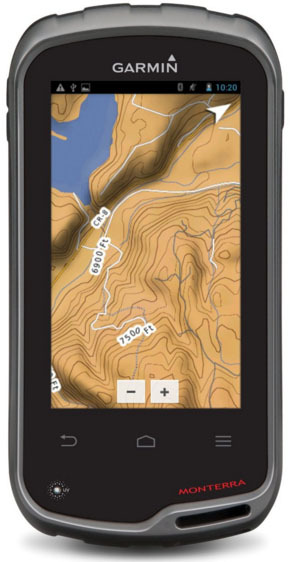 One of the main reasons to choose an upgraded GPS is for a larger screen size. For boating, hunting and motorized activities, a larger screen is helpful when you need to be able to see the information clearly at just a glance. Hikers, backpackers and long-distance adventurers such as thru-hikers or bikepackers will still be happiest with a small and light device, such as the eTrex 20x. For more advanced functionality, the largest these lightweight enthusiasts probably want is the 3-inch screen and 7-ounce Garmin Oregon 700. For geocaching, a small or midsize screen should do the trick. The GPSMAP series has long been popular with mountain bikers and geocachers, and the eTrex works great for those on a budget. The brightness of the screen and readability in direct sunlight are important considerations. Thankfully, this has been an area of emphasis for Garmin lately, and their new models excel with anti-glare screens with good backlighting and contrast that make maps and text easy to decipher. Some of the best models include the Garmin Oregon and Monterra, while the cheaper eTrex 20x falls a little short. Other than the Garmin Epix, which have small screen sizes, readability is a strength in all of our top picks. GPS devices are no longer simply compatible with GPS satellites. As with all segments of the handheld GPS world, Garmin is taking the lead here with the ability to connect with the GLONASS satellite system. In combination with the GPS network, this Russian-based technology improves the receiver’s performance in deep canyons and under heavy cover with 24 additional satellites, as well as overall accuracy for those in the northern latitudes. Note: you do need to turn on the GLONASS setting on the device to use it, and it will drain your battery a bit faster. You’ll notice a number of new Garmin devices are listed as having a WAAS-enabled receiver, which is yet another opportunity for Garmin to leverage existing technology to improve accuracy in tracking. In this case, WAAS, which stands for Wide Angle Augmentation System, was originally developed for aviation to help compensate for hiccups in GPS tracking. It uses a network of satellite and ground-based stations for moments when GPS satellites were not reliably working. In use, the WAAS-enabled service should smooth out errors and further improve tracking accuracy. Many Garmin devices come with the option for a preloaded 100k map. 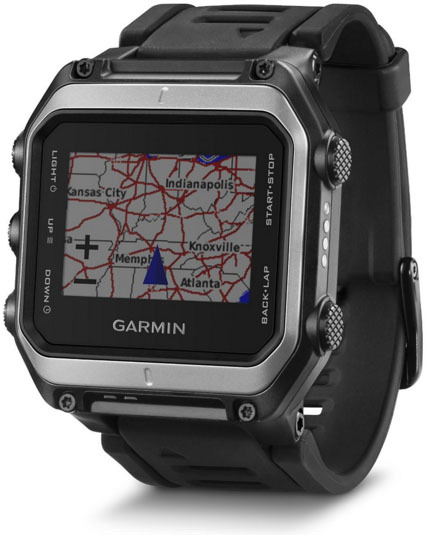 They’re easy to spot with a “t” at the end of the name and a subsequent bump in price of around $50 (for example, the $350 Garmin GPSMAP 64st. We’ll make this short and sweet: we recommend skipping these models. For one, all of the devices that have the option for the 100k maps are capable of uploading maps from your computer, where you can find a number of excellent free maps online. And even if you purchase a map from Garmin, you’ll most likely prefer the more detailed 24k version for their greater number of contour lines, which allow you to better analyze the steepness of a slope. To sum up: the "t" devices are expensive, redundant, and lack detailing that’s available elsewhere for free. Case closed. The long-time standard for batteries in GPS devices was the trusty AA. They were cheap, had decent battery lives and could be swapped out when they were drained. On the downside, if you were heading out for more than a day—and sometimes just for the day—you’d need to bring backup batteries. With extra stuff brings extra weight and inconvenience. And while AA batteries remain an option for nearly all GPS devices, Garmin and others have turned to rechargeable battery packs as a compelling alternative. The main advantage is the ability to recharge on the go. If you already bring a solar panel or battery pack for charging your other devices, it’s as simple as hooking it up to your Garmin unit. The lithium-ion battery packs do cost you a little extra—other than the top-of-the-line Monterra and Montana they’re often lumped in with the camera versions. Alternatively, you can purchase them separately for around $26. We like the idea of the rechargeable system. It’s less waste and a more efficient way of staying out longer, provided you have an easy solution for charging the batteries back up. Once you clear $250 retail, nearly all handheld GPS devices list a barometric altimeter and 3-axis compass. The advantage of the electronic compass is its ability to read direction no matter how you’re holding the device. Standard compasses require you to hold the device horizontally to orient properly. It’s a small but nice addition, particularly if you’re needing to hold the device upright to get a signal. Getting a read on barometric pressure is helpful in determining elevation because the higher you go, the lower the pressure. The science isn’t perfect here, however, because when weather shifts, barometric pressure also changes, which can skew the numbers. That said, a barometric altimeter remains the best option for mountainous and backcountry use, and can provide a helpful approximation of your current elevation. In most cases, dimensions and weight correspond with screen size. The smallest and lightest on our list, the Garmin eTrex 20x and Magellan eXplorist 310, have equally small 2.2-inch sreens. One slight exception is the Garmin Monterra: it’s taller than the Montana, despite sharing a 4-inch screen, although they’re identical in width and depth. How you’ll be using the device will dictate how important dimensions and weight are. 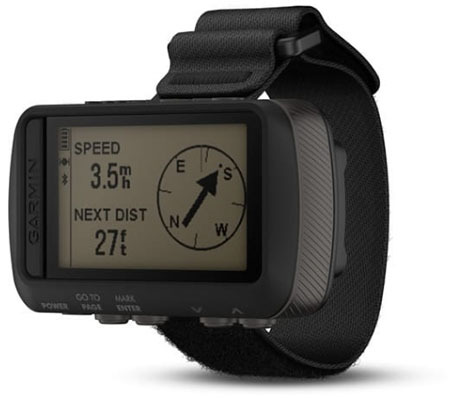 The Garmin Oregon 700 is a best seller because it’s light and reasonably small without compromising readability. Those that opt for high-end devices like the Monterra and Montana are not typically carrying them in their hand or hiking with a pack, instead placing them on a handlebar mount for ATVing or snowmobiling.